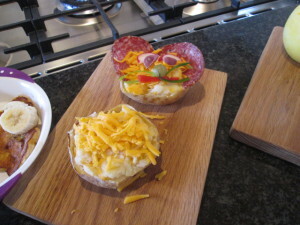 Involving my fussy children with cooking, has been the best way to get them eating. 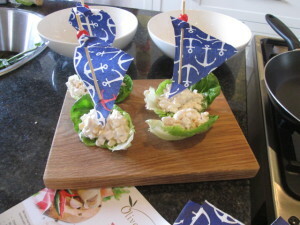 It also helps if the food looks fun and appealing. At home the children started with making their own pizzas, a great success. It also helps when they see exactly what is going into their meals, children get suspicious when you sneak certain ingredients in. My children dislike onion and tomato, but making bolognese sauce together, they add it finely chopped and I explain that the ingredients disappear into the taste of the other things which they enjoy eating, this is accepted. When eating food which they have helped to make, we compliment the meal to the point of overkill, but they feel so proud. Last month the SA Mom Bloggers meet up, at the Free Range Lifestyle centre was hosted by Margy Vally at the Olive Branch Cookery School. 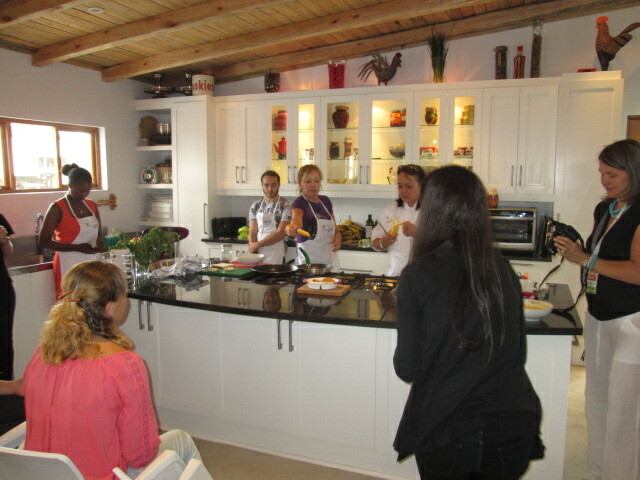 Our day was rounded off with a quick cooking demo by Margy. I loved the ideas which she presented to us. Until now I didn’t have time or the right ingredients handy to try her recipes at home. 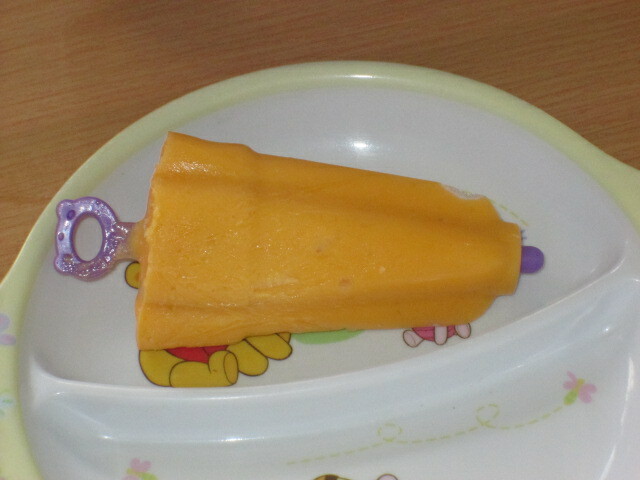 This weekend, we made Margy’s Mango lollies and her Fishy Cakes, which were a resounding success. The mango lollies were a simple combination of pureed mango and plain yogurt, very healthy. The children loved them (as did the parents). 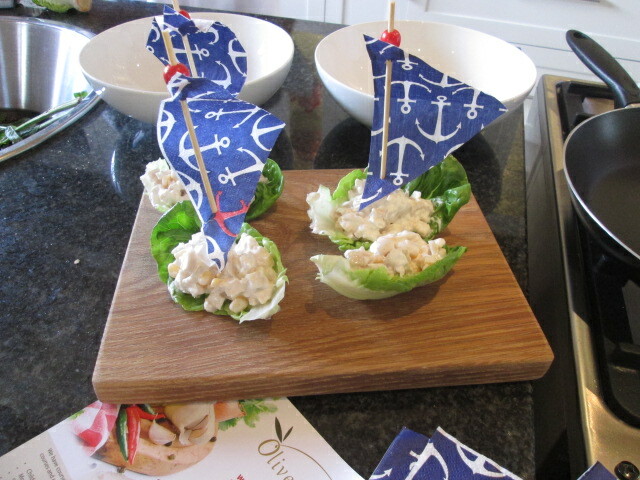 I adapted Margy’s recipe for the Fishy Cakes using tinned tuna instead of hake. As Fjord is egg allergic, I used the egg replacer Orgran No Egg. Shop bought Fish cakes have a list of ingredients which sound pretty artificial, making these from first principles seems so much healthier. 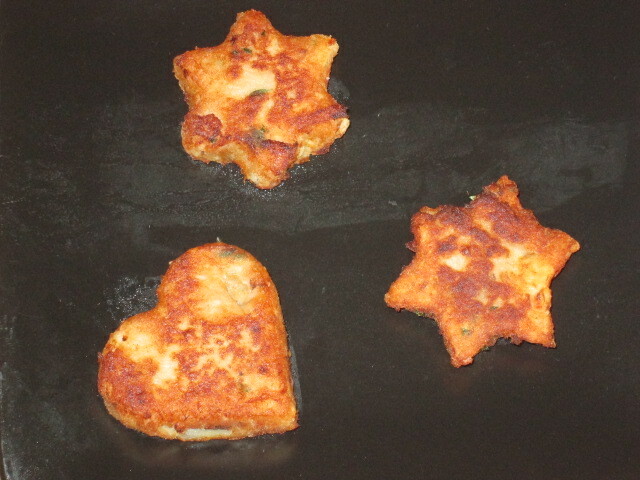 I don’t have a fish shaped cutter, we made ours hearts and stars. 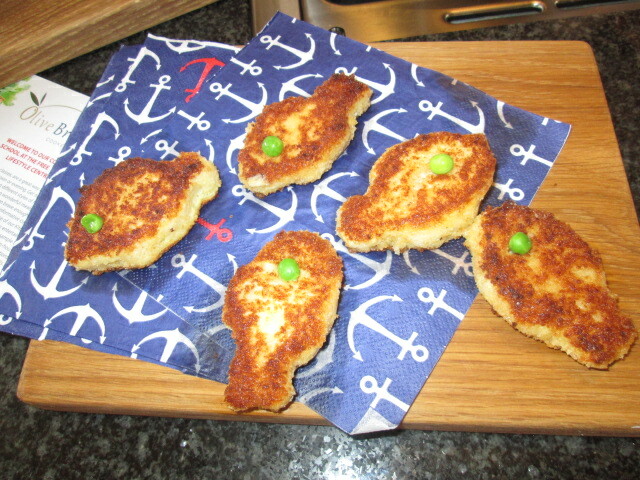 These tasted really good, I don’t think that we will ever buy pre-made fish cakes again. I would love to attend another cooking course at The Olive Branch. We had fun and learned so much from Margy. The school also offers children’s courses for different age groups Cooks and Tots (age 2-4), Children (4 – 10) and Teens (11-16). The kid’s birthday party option must be fantastic. I’m looking forward to cooking the other recipes with the children. The fish cakes look lovely.